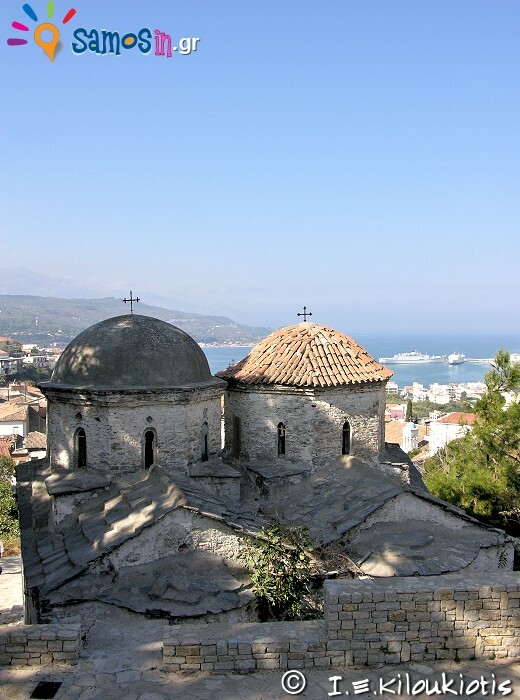 The Church of St. John, also known as Ai Giannakis, located at the northeastern side of the Vathi village at Samos island, with panoramic views of the great natural bay at Samos city. 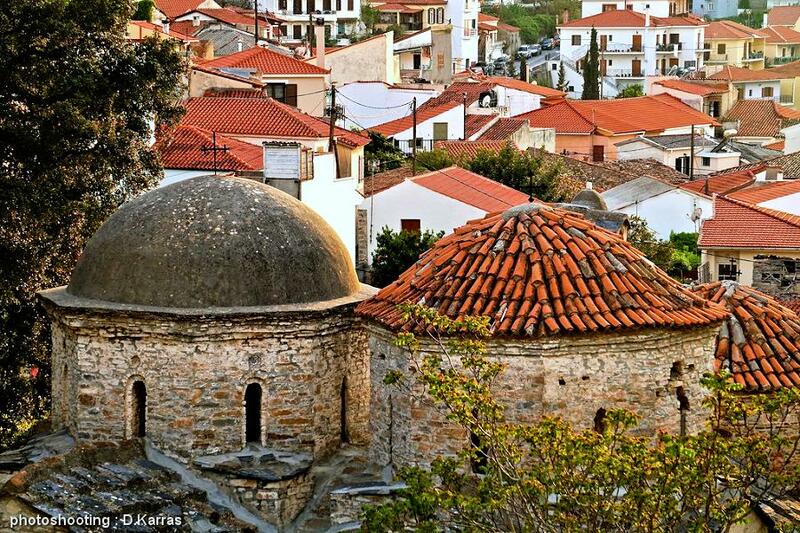 It is Byzantine style, with four domes, twin church, the southern church is dedicated to St. John the Baptist, from where its name comes, and the northern church is dedicated to St. Nikolaos. 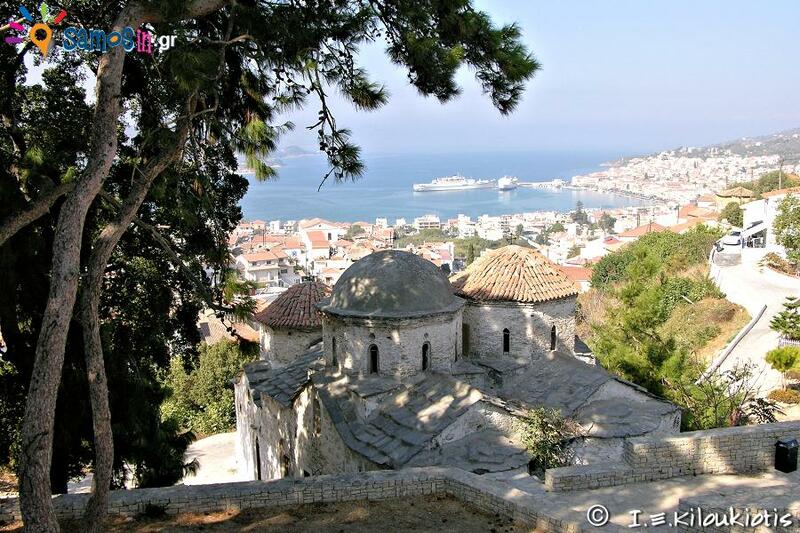 Thus the temple celebrates on 29 August, the day of the St. John the Baptist’s, but also on 6 December, the day of St. Nikolaos memory. The erection of the temple dates back to the middle of the 18th century, according to 1799, 1800, 1812 and 1880 inscriptions, in various parts of the temple, as well the reference to the temple on March 9, 1806 Sigillum ( = is a official ecclesiastical document of the Holy Synod), but the post-Byzantine architectural elements of the temple, which belong to the 11th and 12th centuries, lead us to the conclusion that it is earlier than the 18th century, with later modifications, mainly by the monk “Ioakim” around 1800, which is mention in most of the inscriptions of the church, while one of them (above the main gate of the southern temple) refers to him as a “κτήτωρ”, owner of the temple. 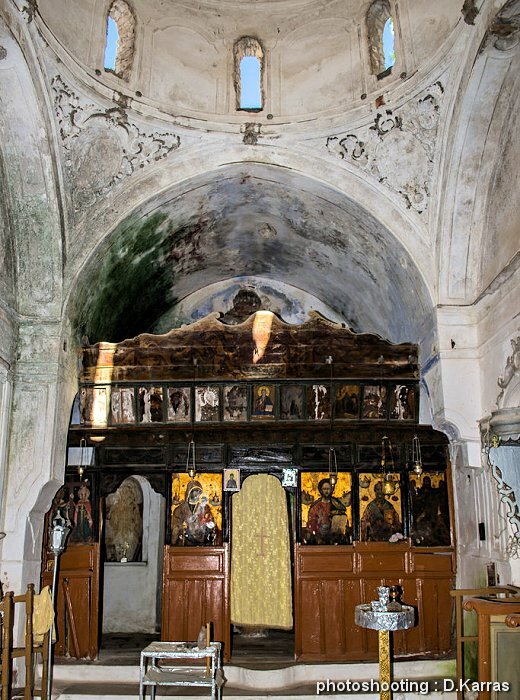 Inside the church, mainly on the northern temple (of Agios Nikolaos), frescoes are preserved, with Jesus, the four Evangelists, St. John the Baptist, the Virgin and the Holy Archangels. 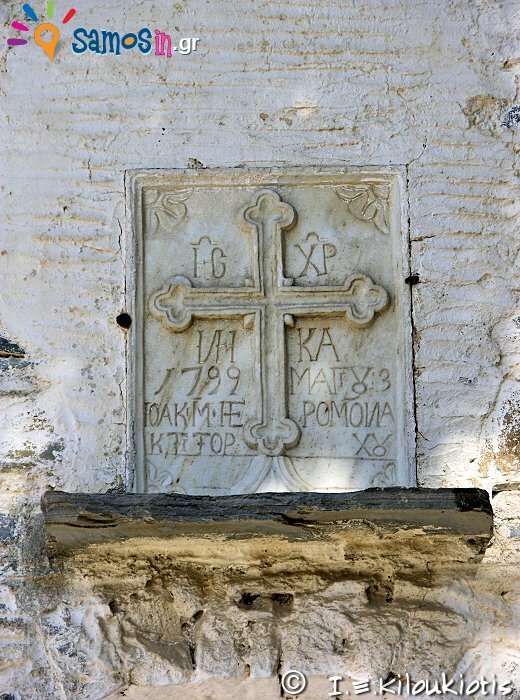 The style of frescoes dates from the end of the 18th century, while the icons of the iconostasis are newer, of the 19th century. 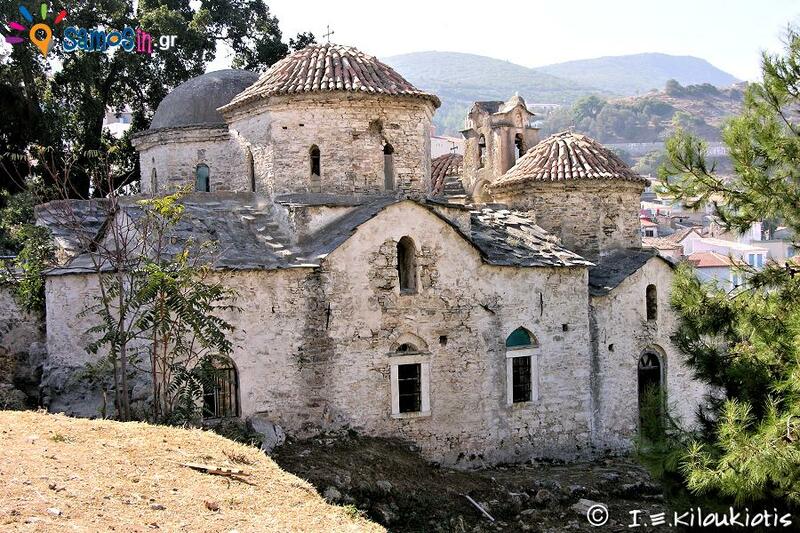 The external dimensions of the church are 16,00 m (N), 15,85 m (S), 10,40 m (E) and 9,70 m (W). 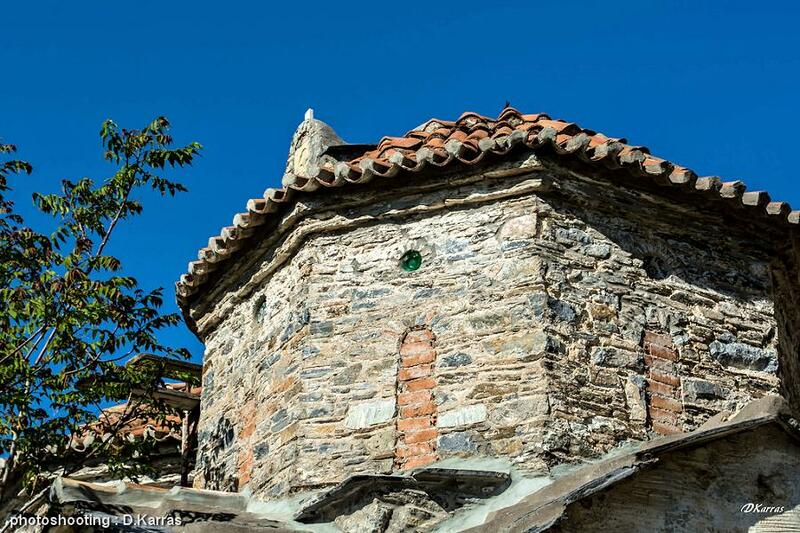 The walls are built of stones with intermittent horizontal wooden beams, while the angles are obviously larger stones. 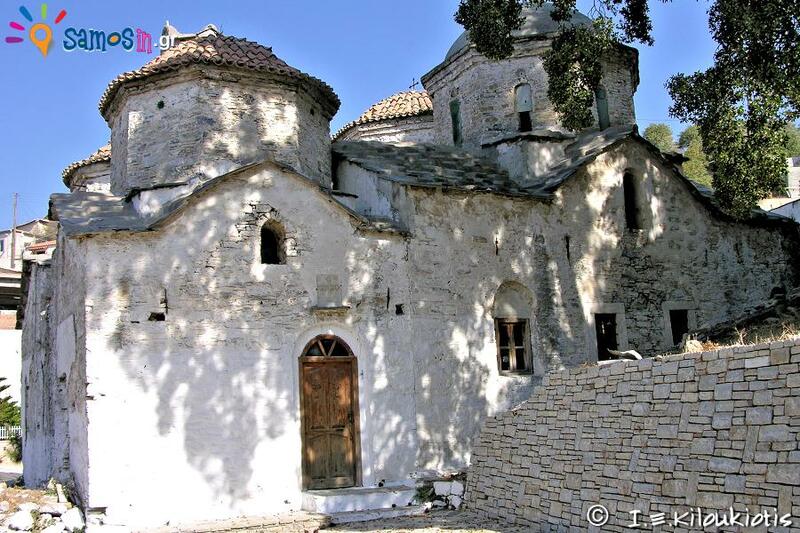 The church is located in the northwest corner of the Vathi village and southwest of the Samos city. 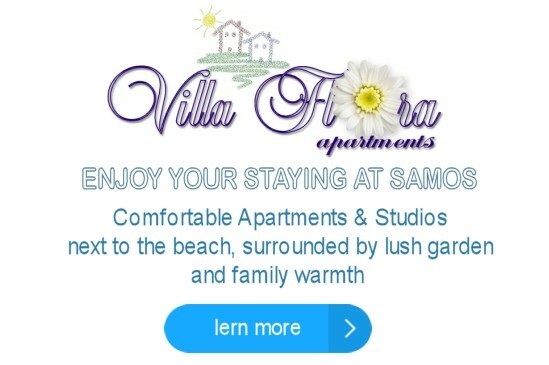 You can get there on foot from the town of Samos (about 2 km from the town square), crossing the Southwest part of Samos city and the village of Vathy, where you will meet the uphill section of the route but deserve a walk in village. By car : from the junction at Varela area (Samos – Pythagorion road, Paleokastro crossroad), follow the Samos city peripheral road (to north) for 1,7 km and then turn southwest (to left) and continue the small asphalt road for another 1 km ( there is parking). Access is free to the public.